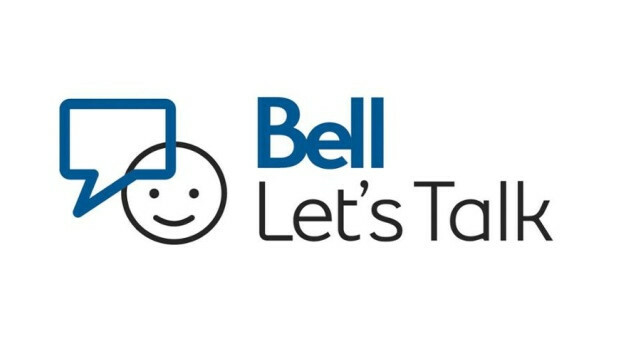 Bell Let’s Talk Day 2019 is today and everyone is invited to join the Canadian conversation that’s leading the world in confronting the stigma around mental illness and sharing ideas to move mental health forward. The 2019 Bell Let's Talk awareness campaign spotlights personal stories from Canadians of all ages from all walks of life living with mental illness or providing support for those who do. The GMHL is proud to participate and we encourage all of our fans, players, alumni, and staff to partake in Bell Let's Talk Day too. On Bell Let’s Talk Day, millions of people in Canada and around the world send messages of support and encouragement for those struggling with mental illness, share their own stories and offer ideas about how we can improve everyone’s mental health. Bell Let’s Talk Day 2018 set all new records with 138,383,995 messages, growing Bell’s funding for Canadian mental health with over $9 million in Community Fund grants. With 867,449,649 interactions by Canadians over the last eight Bell Let’s Talk Days, Bell’s total commitment to mental health, including an original $50-million anchor donation in 2010, has risen to over $95 million. Bell expects its donation commitment to reach at least $100 million in 2020. Since launching in 2010, Bell Let’s Talk has supported organizations providing mental health care and services in every region of Canada. Focused on 4 key action pillars – anti-stigma, care and access, research and workplace leadership – Bell Let’s Talk programs include major donations to hospitals, universities and other care and research organizations across Canada and these dedicated programs: the Bell Let’s Talk Community Fund for local community mental health organizations; the Bell True Patriot Love Fund for military members, veterans and their families; a fund supporting mental health care in Canada’s Territories; and most recently a new fund dedicated to Indigenous mental health in Manitoba, launched alongside the creation of Bell MTS with a donation to Winnipeg’s Ma Mawi Wi Chi Itata Centre.